Archinect is working hard to connect hiring firms with job seekers. In tumultuous economic times, it may become hard for a firm that seeks to employ new talent to find the right match among hundreds of received applications. 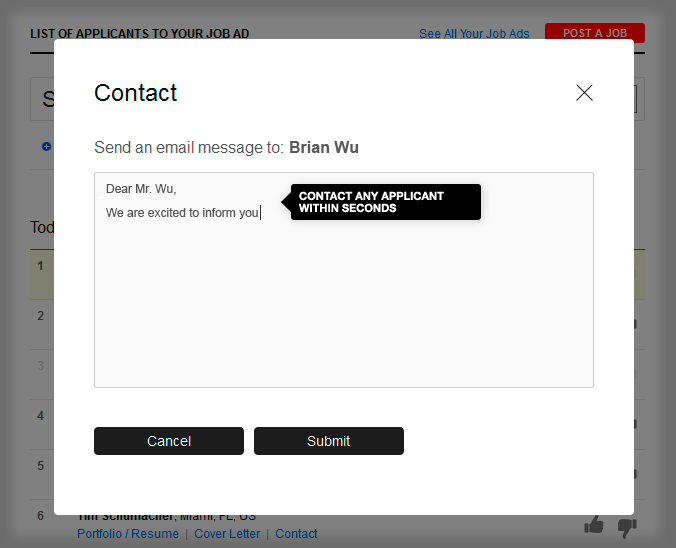 That is why we recently launched a brand new service for job advertisers and job applicants alike, the Archinect Online Job Application Center. We designed the service with both ends of the, often tedious, application process in mind. 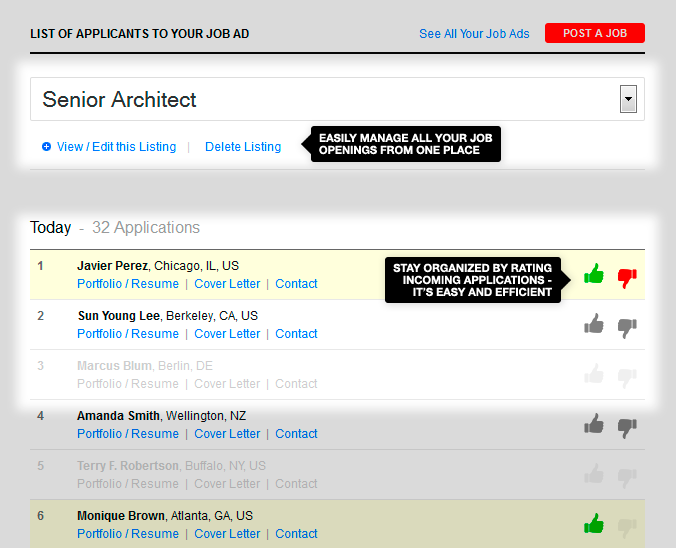 the service comes at no extra cost - it can be activated with any current or future Archinect job listing! To activate the Application Center service with a new job listing, simply check YES at "I want to receive and organize applications for this listing through Archinect's online job application center" at the bottom of the form when posting your opening. 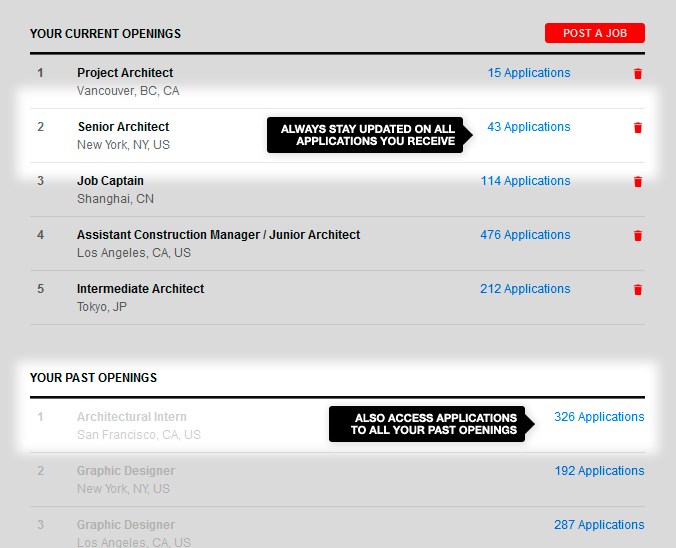 Archinect's Online Job Application System has been updated. Click here to read about the new features.